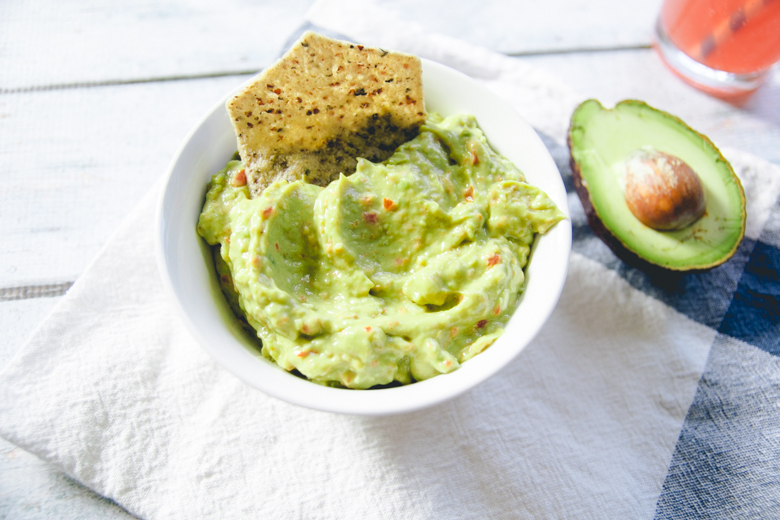 To be honest, I’m probably not going to watch the Super Bowl, but that doesn’t mean I can’t pig out on some great dips! 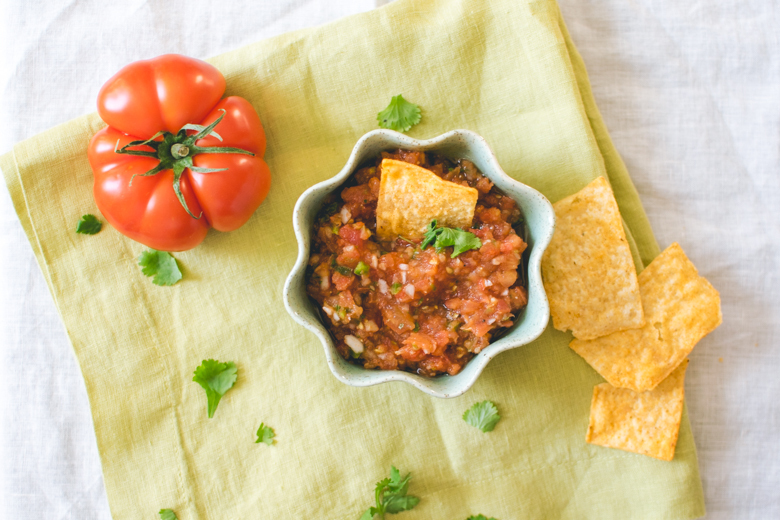 All of these dips pair nicely over some tacos, nachos, burrito bowls, eggs, or salads. Get creative. 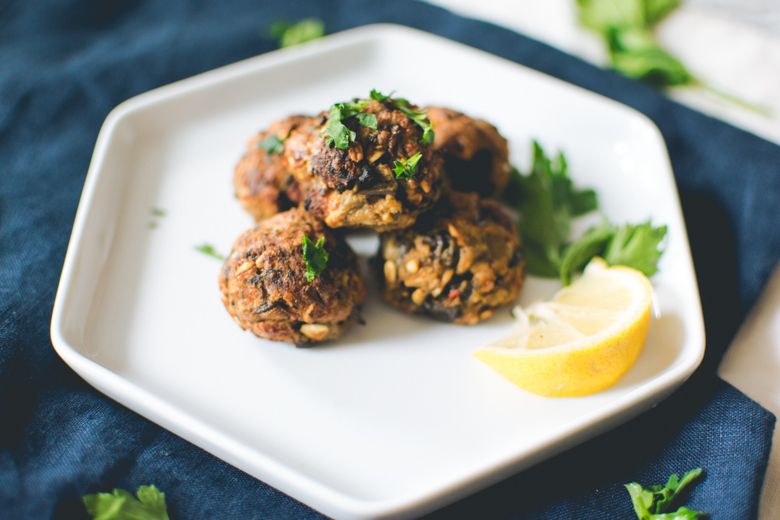 These Meatless Meatballs make a great dish for any festivity revolving around friends, family, & food. They’re vegetarian friendly (Vegans, try substituting the cheese with Vegan & the eggs with white beans) & so delicious. I kind of burned my tongue trying them after they were simmering in my homemade marinara for half an hour. I apologize that there isn’t a picture of the finished product with sauce (not photogenic after refrigerating), but this way, you can see what the balls look like before simmering. 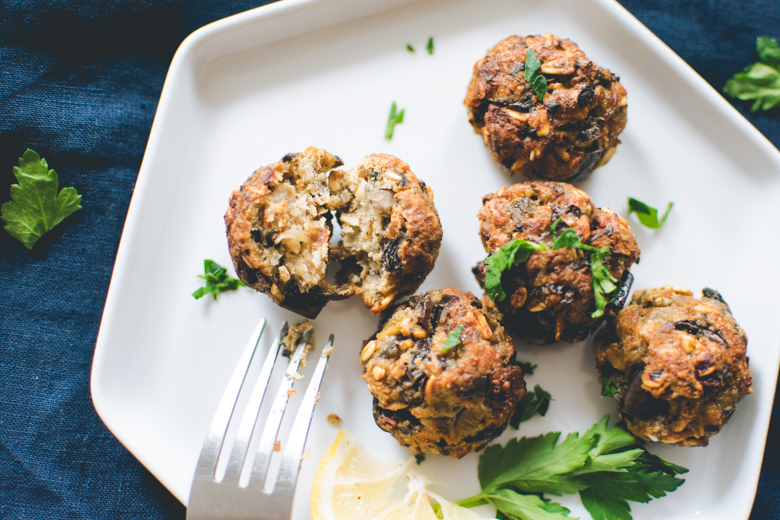 Vinny & I both love mushrooms, so this recipe is made with mushrooms, eggplants, & everything else that you put in meatballs. 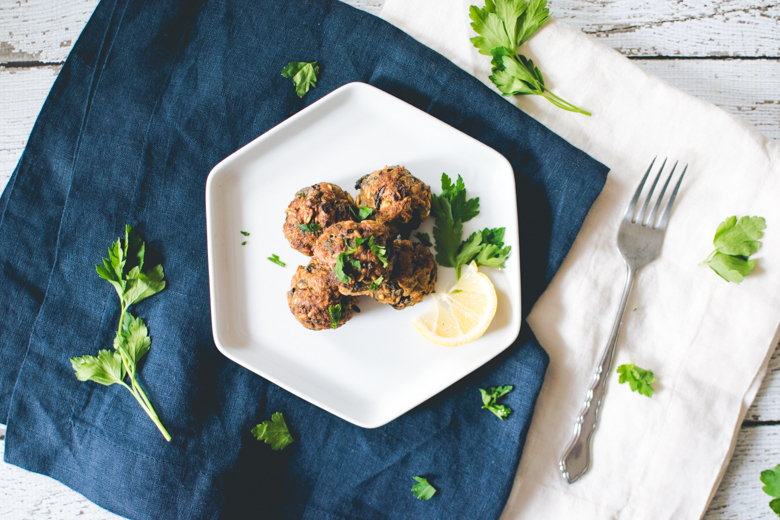 A little tedious, but worth it if you’ve been craving meatless meatballs. Thank you all for taking the time to read my last post on Kim’s passing. I hope that reading about her story will inspire you to do something if you ever see something suspicious happening. You could save someone’s life just by calling the cops or speaking up. On a lighter note, there’s a blizzard hitting New England as I type, so I made like a New Englander & cooked up some chowdaahh. I’m excited to share it with you as Boston gets buried in 2 feet (~61 cm) of snow. If you follow me on Instagram, you probably saw my recent picture of Northeastern covered in snow. That was only a few inches, just you wait for my snow pics in 2 days, it’ll be waaaaay more crazy/beautiful. Stay warm out there, folks! HOMG. 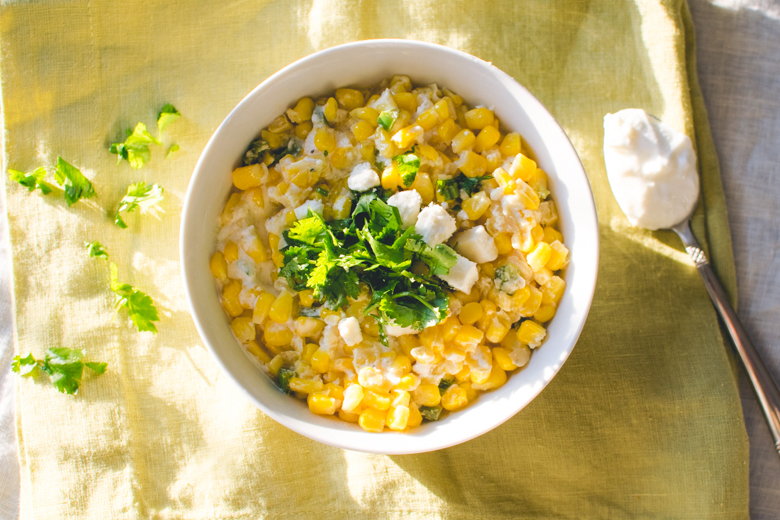 That cheesy corn dish looks, good! I am not sure about the cheese part since I’m slightly lactose-intolerant, but STILL. 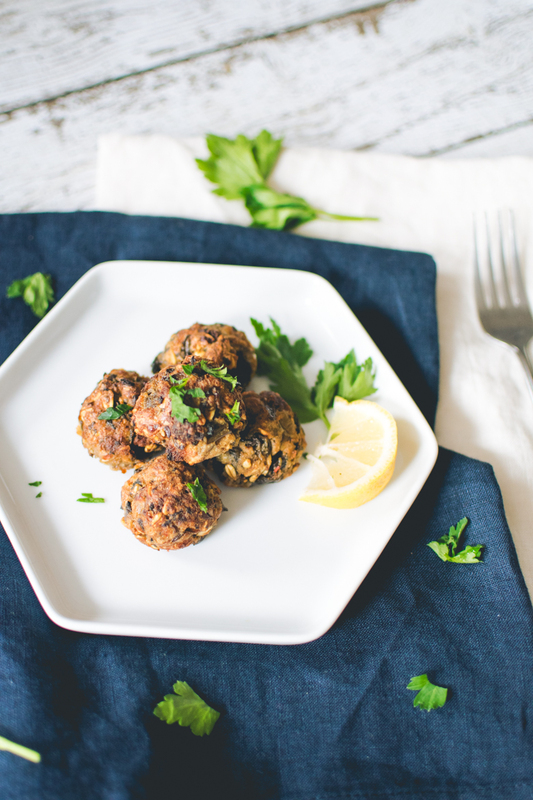 The meatless meatballs also look good. Girl, I’m never reading your blog before dinnertime again. Your posts are starving me! My stomach is practically yelling at me to go eat! And I am not too keen on American football, so while everyone else is all gung-ho about the Super Bowl, I’m just like, “At least I work less hours because it’s a ‘holiday’ for the military folks!” Hahaha! Sorry, but American football is just one thing I’ve no interest in at all. Unless it’s Rudy or Remember the Titans, oddly enough. As for your blizzard . . . can you send some of that snow here? Please? I haven’t seen a major “blizzard” here in several years, and we’re like overdue for a snow day! 🙁 I’m jealous of your snow! Korea’s just got too warm! Anyway, I look forward to your snow pics! Snow is so pretty until it melts and becomes grey slush — ICK! I’m kind of lactose-intolerant myself, but if you’re absolutely no lactose whatsoever intolerant, there are vegan alternatives you could use. People make cheese out of nuts, so it’s possible! Confession: I love watching football, but I did not see the Superbowl! I love those ads too & the halftime show! In my experience, it’s a lot more fun when you’re with your friends watching the game in real life, whether it’s because you’re cheering on your school or your favorite team. It’s such an experience! I don’t think you want this blizzard, trust me, it’s way below -10 C at night. It might be -7 C during the day, but this morning we had record breaking lows due to the chill factor. So cold, you could get frostbite within 10 minutes. I don’t really watch football, but I do like hosting football watching parties! I just like having people over and making foods 🙂 We’ve hosted Super Bowl parties in the past, and we might again this year. 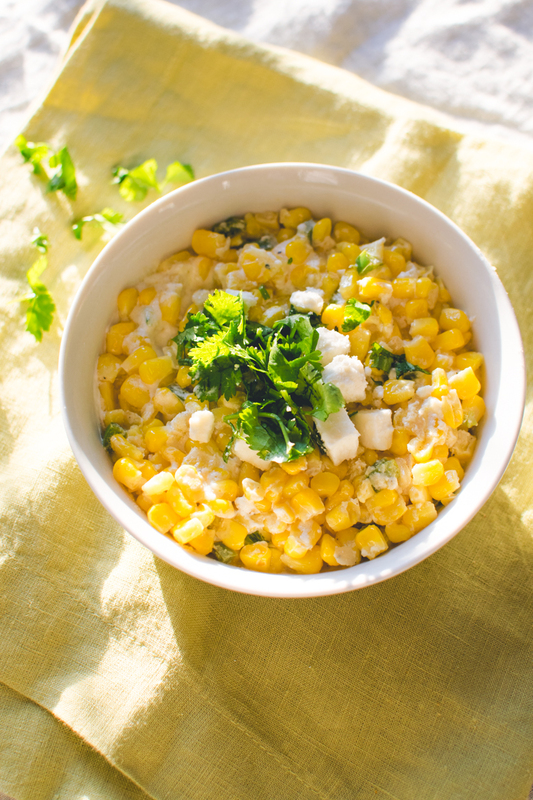 I like the idea of cheesy corn as a snack, especially since corn is delicious 😀 Guacamole is one of my favorite dips too, and my husband makes it sometimes. 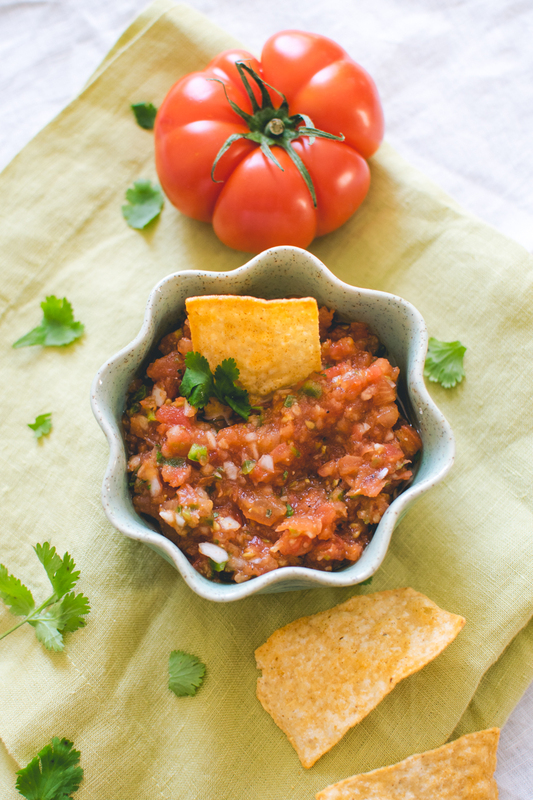 We keep meaning to try to make salsa, and your recipe looks great! We’ll have to try that some time. These three are nice choices for snacks! Aahh I love mushrooms. I’ve never had meatless meatballs before. They look good! You know what’s crazy? It’s currently sunny and 79F here. It’s very opposite of the snowy weather the northeast is getting! It doesn’t even feel like winter anymore! Haha! I love having dinner parties myself. I like making sure people eat well. 🙂 I saw on your IG that you hosted something or at least participated in something, is that correct? If so, what’d y’all make? I don’t remember if you have a grill or not, but grilling whole corn on the cob & then making them into cheesy corn would be AMAZINGLY DELICIOUS. Grilled corn is so tasty. 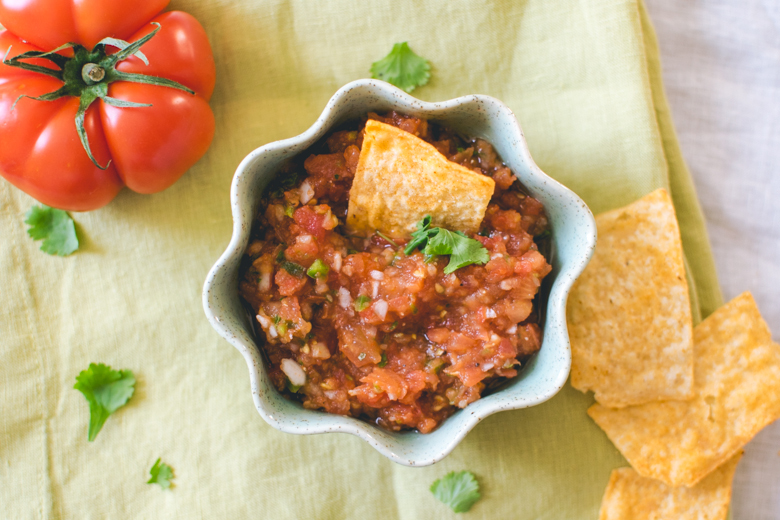 On that same note, grill tomatoes (in one of those stovetop grills or something) & make them into a salsa. Also amazing. 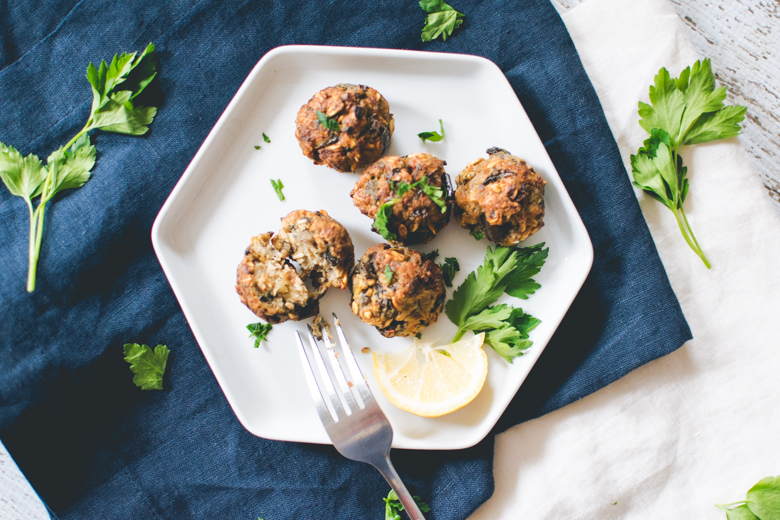 These meatless meatballs certainly surprised me. They’re absolutely delicious. They look like the real thing & have a similar texture, but they taste so great, especially with homemade marinara. Mmm! 79 F….I don’t even remember what that’s like…what’s…what’s warmth…? Wow, now I’m really hungry. Your site always does that too me. lol I love chip dips, it’s been awhile since I have made any though. Living alone makes it limited on things to make since I don’t like food to go to waste. Hah! Well I’m happy that you find my site appetizing. 🙂 That is its purpose. I don’t like food going to waste either, but I do make really large pots of soup & other goodies because it’ll last me throughout the week & I won’t need to make other food for a while. I hope you do. They’re really delicious haha! & they work great with whatever you need to use them for: sandwiches, pasta, soup, skewered to be dipped with something. Possibilities are endless! Stay warm and enjoy the snow, Tiffany! I love these recipes (especially the meatless meatballs), There’s no game day here. Whatever, having homemade food as a snack is always a good idea! 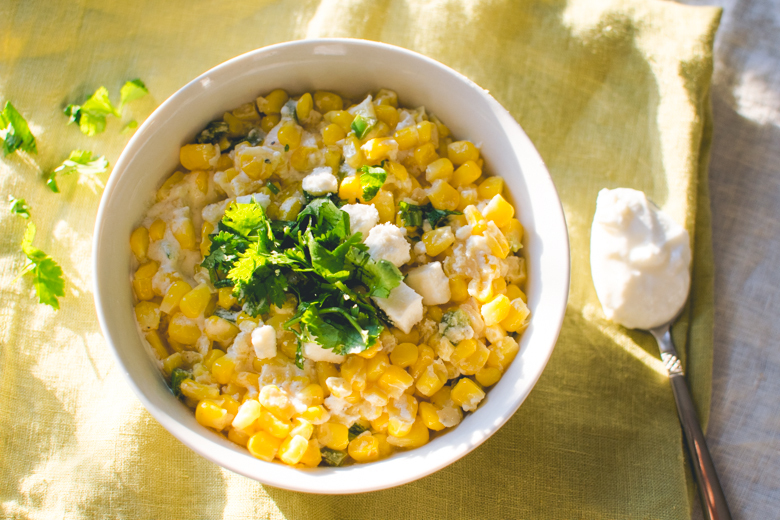 Any homemade salsa, guacamole, and cheesy corn can be made and eaten for any occasion! Even the NBA finals ;). Happy belated birthday to your brother! Having your kid’s birthday near some big holiday/event is always helpful if you’re forgetful. It doesn’t help that all of my family members were born on the 18th except for me!! 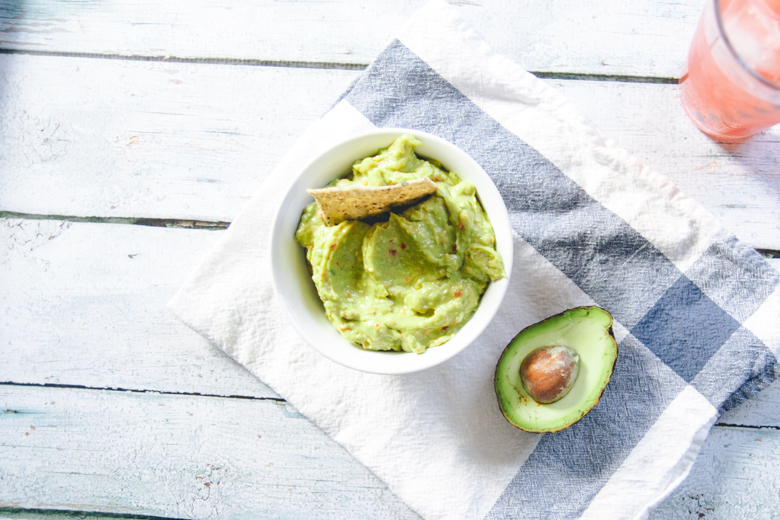 You can never go wrong with homemade guacamole, especially with how expensive it can be in the restaurant! I love how unchunky it looks. 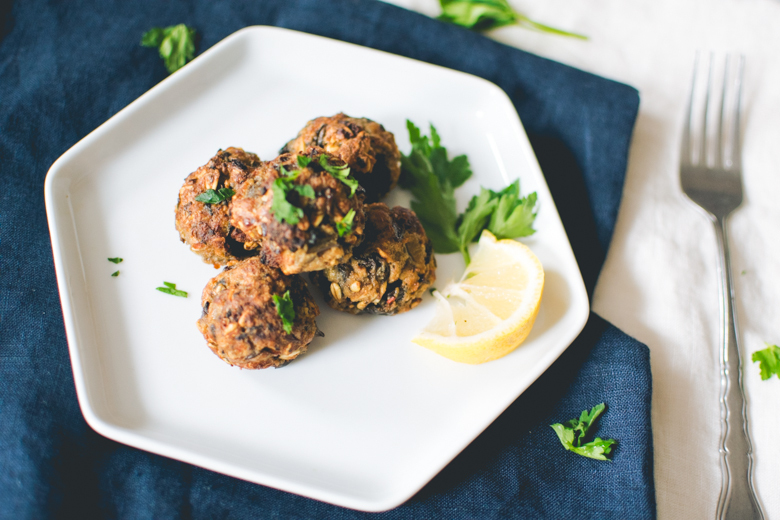 The meatless meatballs look amazing too even with it being unfinished in the pictures! Hope you’re nice and warm in your apartment! All on the 18th?! What a strange coincidence. Very very interesting. Thanks for wishing my brother a happy birthday! I think you’re the only one who acknowledged it haha. I have to post a recipe up for French Onion Dip & some other cheese dip, because those would’ve been great dips for a sports viewing party or dinner party or party whatever. Homemade dips are the best! Guac is so expensive at restaurants. $9….are you kiddding me get out of here. They better be some organic, non-GMO, hand-picked, fair trade, seasonal, best tasting avocados I’ve ever had or else I’m not gonna pay 9 gawd damn dollars for mashed avocado with some onions & garlic. Friggin crazy.